- Standard delivery*, setup and pack down of the booth outside of event timings. - Instant double prints of each photo strip session in the booth. - NEW - Up to 6 prints per session when there is more than 2 people in the photos. - A photoboothME attendant for the duration of the hire. - Instant file sharing. We can also share a live dropbox link with you on request. - Instant animated gif's of each session in your booth which can be shared along with the photos and strips. - Fully customisable photo strips. Click here for more information. - Full SLR camera functionality. With a spare camera in the booth at all times. - A photoboothME Technician on call with a full compliment of spares. - Slide show of photos taken on external side screen. 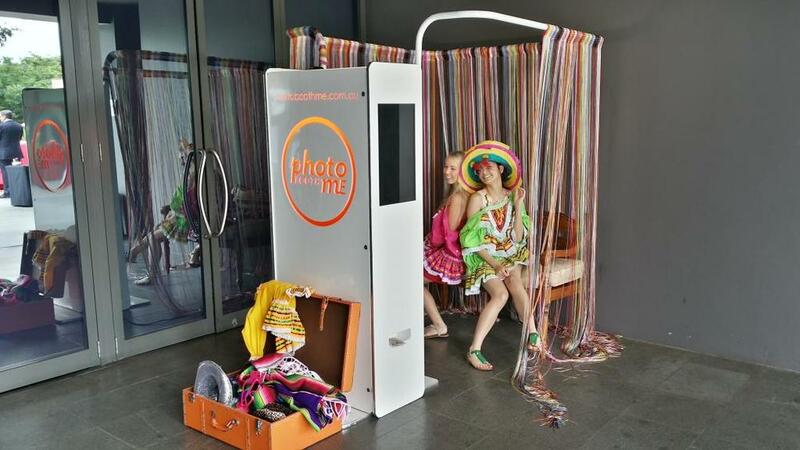 photoboothME pride ourselves on the quality of our products and service. We are happy to price match any quote that includes everything that we include for a photo booth of equivalent quality and appearance. Our HD Studio booth requires 1.9 x 1.5m of floor space is 2.2m high and can fit 6 or 7 people comfortably, double that with some creativity. We run easily off a standard power point and require a stable, level platform to setup on and protection from inclement weather. * Standard Delivery is to anywhere in the Wollongong and Sydney Metro areas with disabled access. Additional fee's may apply for locations outside of this area or with flights of stairs. Please let us know when enquiring and we will quote accordingly.